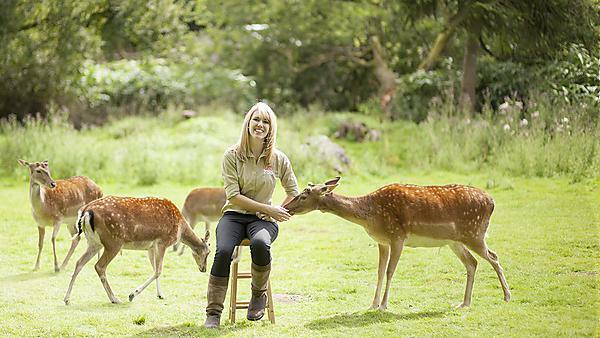 Since graduating in 2016, Coral Jonas has gone on to work for Dartmoor Zoo as Head of Discovery and Learning. Since graduating, I have been managing the Discovery and Learning team at the Dartmoor Zoological Park, which handles the education for the zoo and presentations around the park. Every day I get to feed and be so close to some of the most powerful animals on the planet. It’s truly a privilege being at work. Imagine you were about to start university again – with the benefit of hindsight – what would you now tell yourself to have done differently? I would have followed the same career path. My plan was to always go into teaching so that I could potentially follow a career in conservation education. This pathway is very competitive though, so it was important for me to have the opportunity to teach in schools as well. Only two universities in the UK offered the masters course in zoo conservation. The reason I chose Plymouth was because I was working and studying at the same time and my work was close to Plymouth. What made me apply for the course at Plymouth was the practical aspect of it. The modules were adaptable to my work situation and enhanced my understanding of the job that I was already doing. My favourite memory of studying at Plymouth University was during one of the lectures where we got to be really close to gorillas. The course at Plymouth University was very organised and adaptable to my situation of working and studying part-time at the same time. I would not hesitate to recommend the course and the University as a whole. For more information about studying zoo coservation biology, please visit our MSc Zoo Conservation Biology course page. For more information about our range of courses within the School of Biological and Marine Sciences, please visit the school page. If you would like to find out what other alumni from the School of Biological and Marine Sciences are currently doing, please visit the biological, health, chemical and agricultural sciences interest area.